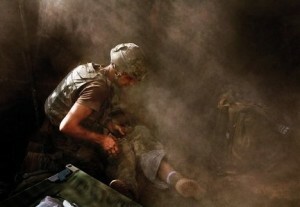 It takes a brave man to enter a warzone; it takes a braver man to enter a warzone clutching a camera instead of a gun. 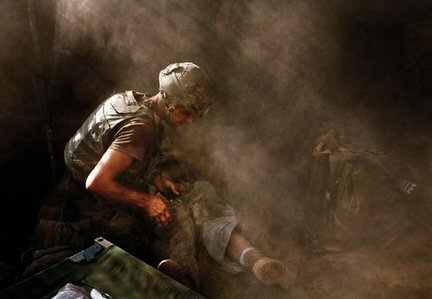 For most of his long career, photographer Tim Hetherington has been documenting life in some of the world’s most destructive and bloody conflicts. Spending eight years in war-torn West Africa, Hetherington, a veteran of both the Sierra Leone and Liberian civil wars – the latter of which saw him earn the unenviable honour of being one of only a handful of journalists to live with the rebel army – is arguably more battle-hardened than many of the soldiers he accompanies. 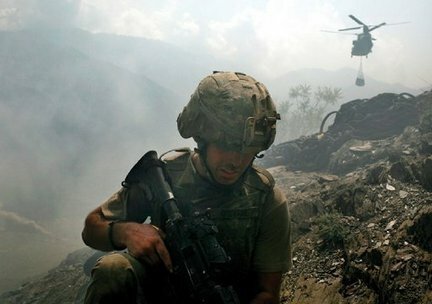 His latest work, the feature length documentary Restrepo – a collaboration with Sebastian Junger, a reporter best known as author of The Perfect Storm – sees Hetherington take on his third directorial role to document yet another controversial conflict – the war in Afghanistan. Embedded with the American troops of Second Platoon, Battle Company in the remote Korangal valley, Hetherington and Junger were initially on an article assignment for Vanity Fair, for whom both men are contributors. ‘I thought it would be pretty quiet,’ says Hetherington. ‘Like everybody else, I was focussed more on the war in Iraq.’ But, Hetherington’s expectations were wildly out of sync with the reality of life in the Korangal – a rocky, six-mile stretch dubbed the ‘Valley of Death’ by US forces. Of course, the platoon were i nitially wary of the two reporters thrust into their midst, a fact Hetherington seems reassured by. ‘The relationship between the military and the press is prickly,’ he says, ‘and so it should be. For democratic purposes it needs to be; the press is there to interrogate the military.’ In the end, it was the two men’s dedication that earned the soldiers’ respect. But, faced with such a mammoth task – the standard length of an embedment is three weeks – Hetherington admits there were points when his resolve to finish Restrepo was questioned. ‘There are always times when you’re doing this type of work where you have moments of doubt,’ he says. 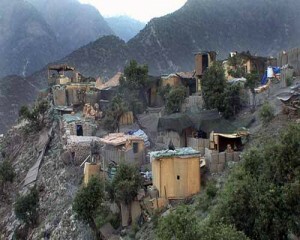 His darkest moment came during Operation Rock Avalanche – an American push deep into the Taliban-occupied area of the valley. ‘Towards the end of that I broke my leg,’ says Hetherington, ‘and found myself having to walk down a mountain with a broken leg, carrying a sixty-pound pack… The insurgents had killed and wounded people a couple of days before, so I’m thinking “you know, I’m not in a very good situation,”’ he says with a wry laugh. When the time came to create a film from over what Hetherington estimates to be around ‘150 hours’ of raw footage, the directors ran into a sizeable problem. 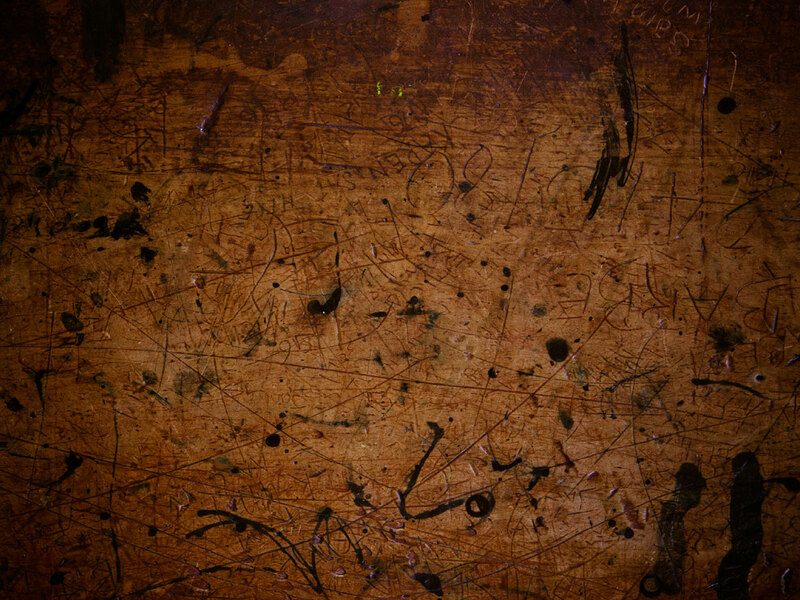 In focussing solely on the experience of the soldiers while refusing to utilise narration or turn Restrepo into a reporter-led piece – ‘Anything that would break the illusion that the viewer is in the valley, we didn’t put in the film – that was the leading structural rule we set.’ – Hetherington and Junger found that the piece was rather formless. ‘We came to think about how to sew it all together, and we decided that we would go to Italy, where the men are based, to make these post-deployment interviews,’ says Hetherington. But, when they arrived, they found that Second Platoon were a vastly different group from the excitable, bravado-laden soldiers they had known in the Korangal. ‘What we hadn’t factored in was that, three months after the deployment is the amount of time it takes for PTSD (Post-Traumatic Stress Disorder) to come on,’ says Hetherington. Gifting the piece some of its most emotional moments – the stark honesty the young troops display is startling – Restrepo’s interview segments firmly debunk the notion that Generation Xbox are largely unaffected by war. The key to the power of these segments, Hetherington suggests, are the unique relationships forged in the Korangal.